IE University launched a new academic year on Monday with an intake of 1,010 students from 85 nations to its range of degree programs. Some 74 percent of these new students are international, making IE University as one of the most attractive centers for foreign students. Likewise, 54 percent of this year’s cohort are women. 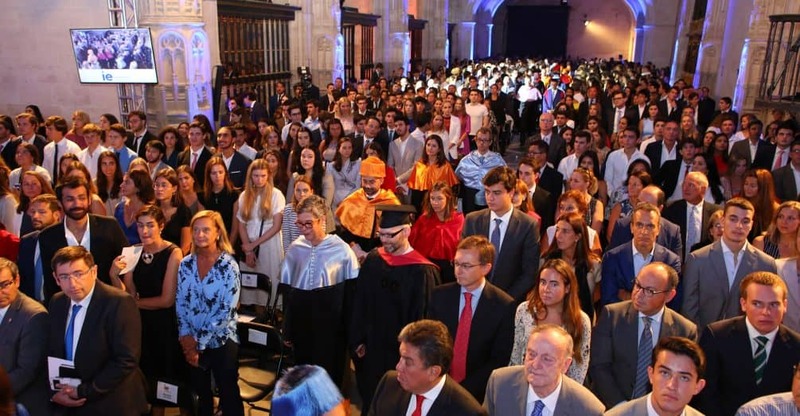 The news was announced today by the Rector of IE University, Salvador Carmona, during the official opening ceremony of the eleventh academic year of the private university, which will count this year with a global community of 3,800 students of 116 nationalities distributed accross its Segovia and Madrid centers. Among the new features this, the Rector highlighted two new degree programs, Data and Business Analytics, along with Behavior and Social Sciences. Both degrees will be taught by the Human Sciences and Technology school. Throughout the day, IE University celebrated its traditional opening ceremony, which is the first contact between students and their families and the academic authorities and the faculty of the university. In the opening speech, Carmona invited new students to “participate in the most ambitious training offer, which will allow them to adopt an entrepreneurial attitude in the exercise of their profession, as well as to develop critical thinking in the context of a powerful humanist vision”. In this regard, he added, “we will try to ensure that this formation is presided over by an ingrained ethical commitment”. Likewise, the rector highlighted IE Universitity’s commitment to quality and excellence, which has been reinforced by growing international recognition. Carmona recalled IE University’s values, which define its uniqueness in the educational landscape: an international approach, technological innovation, business thinking, an emphasis on the humanities and ethical values and a combination of academic rigor and direct exposure to business practice. As for future plans, the Rector took advantage of his speech in the Aula Magna in Segovia to remember that in 2020 IE University will have built the “fifth tower”, a skyscraper that will be incorporated into the Madrid skyline that will house a 180-meter center at the northern end of the Paseo de la Castellana in Madrid, where four of the city’s highest buildings are located. This project includes 36 floors for teaching and administrative use of the private university, although the rectorate and central services will remain in Segovia.